Make your own beautiful long lasting crepe paper peonies! A fun activity to do together with mom, or on your own to make a unique and heartfelt gift in time for Mother’s Day to show your appreciation. 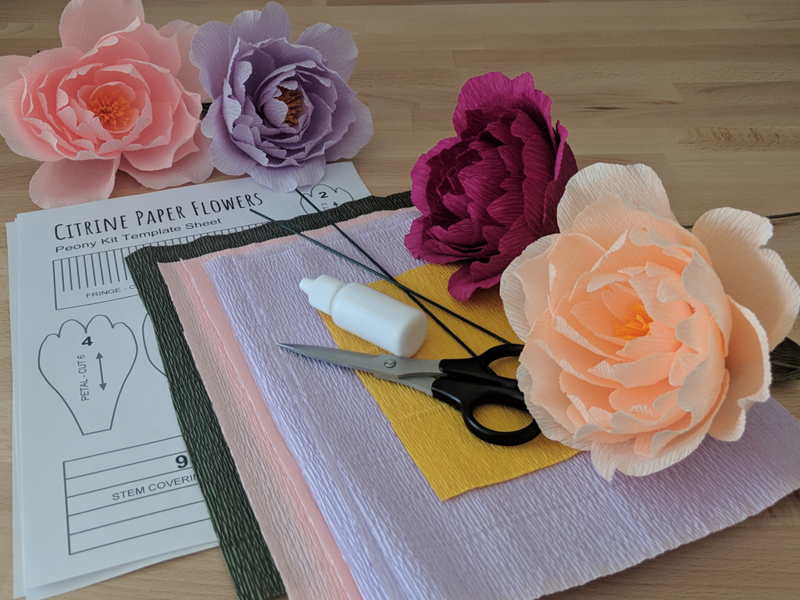 This hands-on workshop is suitable for beginners and includes a kit with supplies to make two large crepe paper peonies with a choice of colours. You will be guided step by step through the flower making techniques by instructor Nancy Lui, owner of Citrine Paper Flowers. Right handed scissors, pencils, rulers, and other supplies will also be provided for use during the workshop. If you are left handed, or if you have a preferred pair of scissors that you like to use, please bring it with you! The papers and glue are certified nontoxic and safe for children and pets. Recommended ages 10+ as sharp scissors will be used. Children under 13 must be accompanied by an adult.